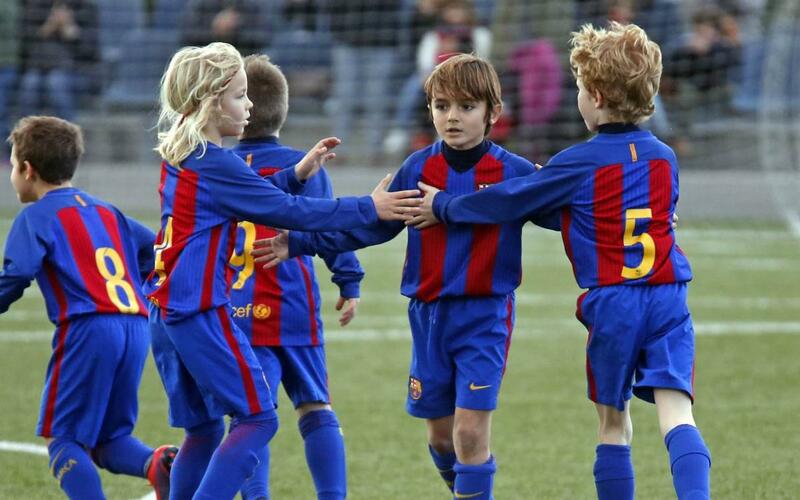 The FC Barcelona youth academy has enjoyed yet another weekend replete with victories, flowing football and, of course, spectacular goals. The work put in during the season is beginning to bear fruit and this week our collection of great strikes encompasses the whole range of ages in the Club’s academy. U8E player Pau Berges opens our top five selection and is followed by Alexis Olmedo and Dereck López from the U12C side. The quintet is rounded off by efforts from Jaume Jardí of the U16B team and Jordi Mboula of the U19A side. Check out all five goals from our exclusive video above!